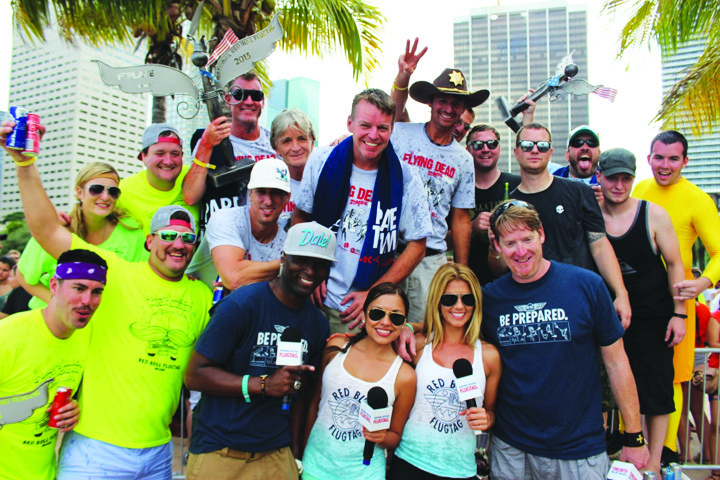 Kevin Humphrey (wearing the white baseball hat) and his identical twin brother, Keith Humphrey (wearing the sheriff’s hat) along with some friends competed in this year’s Red Bull Flugtag Day in Miami. The men first got involved with the Red Bull Flugtag event back in 2008 when Keith Humphrey attended an events meeting at the Tampa Bay Convention Center. The Red Bull Flugtag was one of the events mentioned at the meeting. Keith Humphrey talked his brother Kevin and their friends into participating in the event. “My brother is a little more careless and reckless than I am, but we decided to give it a shot,” Kevin Humphrey said. The theme that year was “Tampa Bay Watch” inspired by the T.V. show “Baywatch” and the men dressed up as lifeguards. They won. “We were the first team to go off the flight line at 110 ft. in the air and we crushed the rest of the competition,” Kevin Humphrey said. 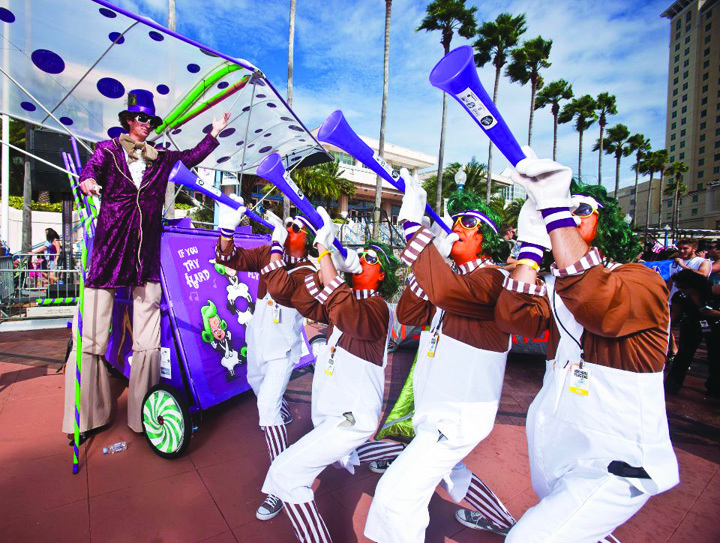 When the Red Bull event came back to Tampa in 2011, they dressed up like characters from the movie “Willy Wonka and The Chocolate Factory” for the film’s 40th anniversary. Flugtag is German for “flight day” or “airshows”. The Red Bull Flugtag events consist of homemade, human-powered flying machines. The flying machines are usually launched off a pier into a body of water. Kevin Humphrey and his team are setting their sights on the next Flugtag event. “We want to go international for next event and I think we can do it,” Kevin Humphrey said. “Hyde Park in London had the largest crowd in history for Flugtag day and I would love for our team to be a part of it when it comes around again.” Visit the website at www.redbullflugtagusa.com.